Creation understands every dollar counts. We have always worked hard to offer you the best in teaching, ministry and fellowship along with the best in Christian music. 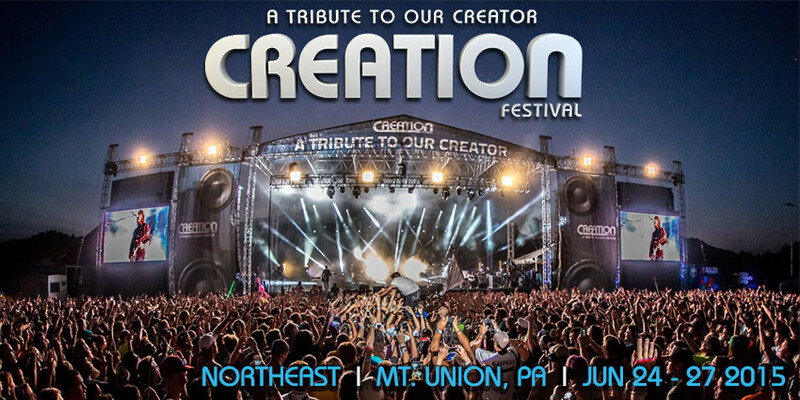 Creation is the LOWEST priced festival of its type and remains to bring you the BEST Summer Experience for the whole family with great value. Register early and save even more! Camping is FREE! We want you to come and stay with us all week, so we have made it easier and more affordable to come and experience Creation Festival the way it was meant to be. This is a great vacation, or your missions trip, or simply your time to relax. If you have any questions please call us at 800-327-6921. We want to help you have the highlight of your summer maybe your life! Tickets are now available! Each Tier will have a limited number of tickets for sale at a certain price level. When the tickets are sold out at that Tier price, the next Tier will be available at a higher price. Buy now and save! For PAYMENT PLAN options please call our ticket provider ShowClix for assistance and details at 800-327-6921.